Noticed any extra activity around S. 7th and St. Helens lately? 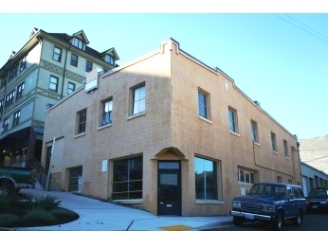 Spaceworks has moved into the bottom floor of the very unique orange building at 311 S. 7th St., right next door to Puget Sound Pizza. The BareFoot Collective has been busy choreographing and rehearsing for their upcoming show, Footfalls, a series of site-specific dance pieces in which “local dancers will fall, glide, and spin across the stage as new works are debuted in Tacoma.” Don’t miss the upcoming performances, Nov. 19 and 20, 3:00pm and 7:30pm. For more information, visit www.barefootcollective.org.